My father was born on 11 February 1950, and last night (20 February 2010), we celebrated his sixtieth birthday. It was a good night. My contribution to the party was a trivia quiz on the history of science within Dad’s lifetime, as mentioned on the blog during the research phase. The point was to facilitate conversation around the tables, and I was happy with how it turned out. More on the quiz at the end of this post. 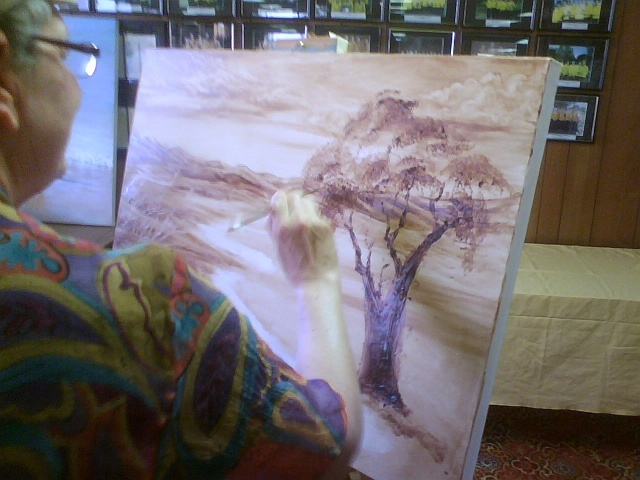 One of several pre-dinner activities, organised with the assistance of a local artist, was “painting with vegemite”. This is exactly what it sounds like, and here’s a photograph to prove it. 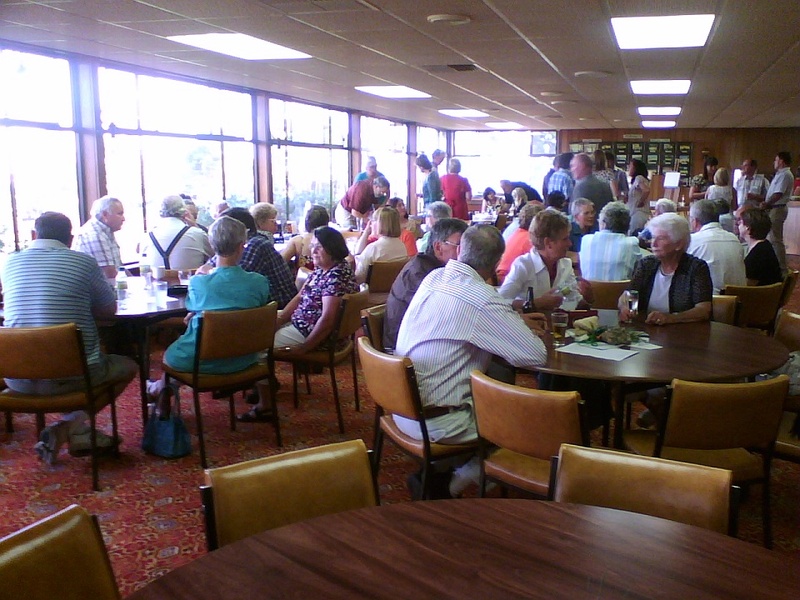 The venue for the party was the local golf club, and here’s a picture of the scene as people were sitting down for dinner. You can see one of the sheets of paper from my science quiz, which was just one of several items placed on each table to promote discussion. Now back to the quiz. I thought that people on the Internet might like a go, so I’ve created an online, interactive version as a php-powered web page. I hope you enjoy it, and if you have any comments then this blog post is an appropriate place to submit them.